Kel Johnson is a 2014 OF/1B with a 6-4 215 lb. frame from Palmetto, GA who is home schooled. Tall lean athletic build, good present strength with room to add more. Right handed hitter, busy hand load, good shift into contact, huge leverage in his swing, over the fence power to all fields, swing surprisingly short for his power, can shorten up and make adjustments in his swing during an at bat, fun to watch hit. 6.97 runner, good arm strength in the outfield, left field tools and actions. Can also play first base, flexible and balanced actions, moves well around the bag. Very high ceiling bat. 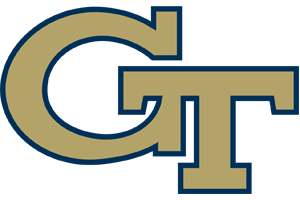 Very good student, verbal commitment to Georgia Tech. 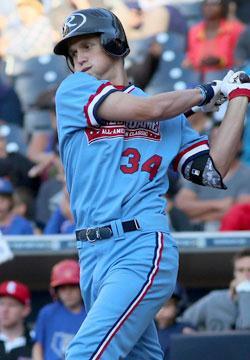 Selected to the Perfect Game All-American Classic.